Why do we get such a "kick" out of trade shows? As you can see we get to greet and meet the sharpest managers (and greatest customers) in the world. (Ten states are represented in this collage.) Our discussions range from yields, to families, to how to get more "bang" for their FBS "buck." 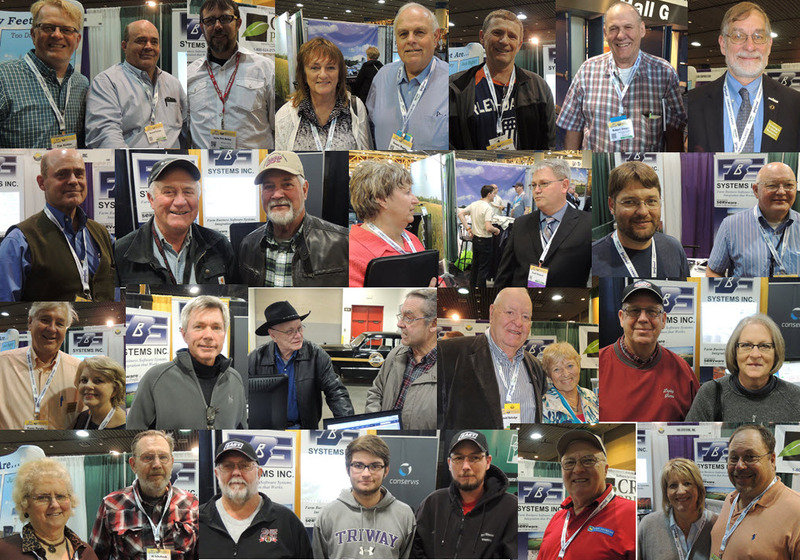 We enjoy one-on-one networking; however, real synergies are sparked through many-on-many networking--when FBS users get together at our annual User Conference or the user group held earlier this month in northwest Iowa as reported below. Real-time cloud integration with Conservis. Thanks to Pig Hill Company, Alvord, Iowa for hosting a regional FBS User meeting on March 11th attended by FBS clients from Iowa, Minnesota and Nebraska. The group shared their software experiences with each other and provided valuable feedback to FBS Director of Professional Services, Mike Boggs. Mike updated the users regarding new and existing FBS integrated modules to help increase their efficiency and effectiveness. Also, don't forget about the 2016 FBS National User Conference, August 23 and 24 in Moline, Illinois. 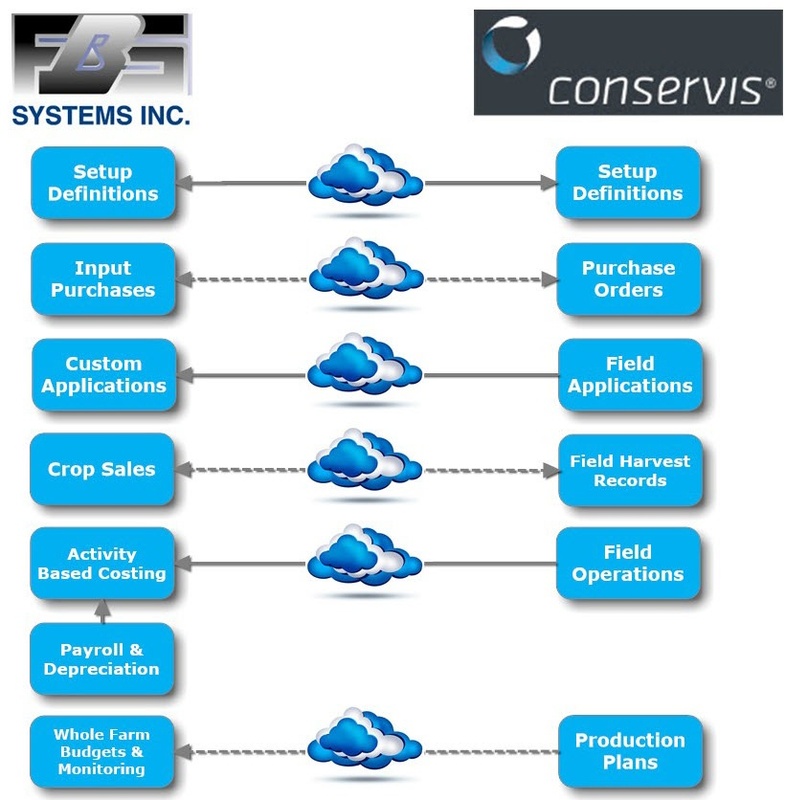 Conservis Corp, the industry leader in Enterprise Agriculture Management, announced the general availability of real-time financial accounting integration with industry-leading financial management accounting package FBS Systems. Adding to its already robust platform of management tools, Conservis’ accounting integration allows on-the-ground production data collected by Conservis to seamlessly transfer into financial management accounting systems. The new accounting integration increases efficiency and reduces the risk of errors typical of duplicative data entry. 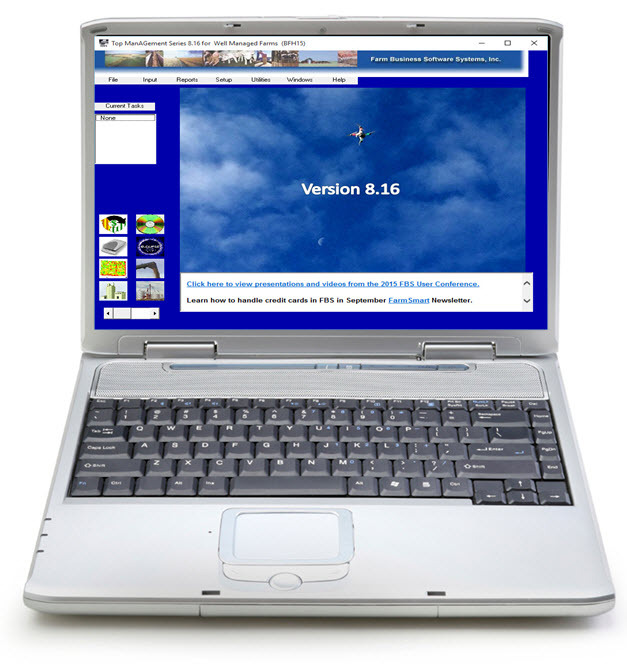 As with all Conservis data, the integrity of information is maintained securely in the cloud. Providing management tools that encompass all business activities on a farm including planning, budgeting, purchasing, inventory, production management and tracking, harvest tracking and settlement gives growers visibility and insight into the complex details and numerous functions that make farms work. The data collected from these operation-wide business processes flow directly into accounting systems for a complete, holistic financial picture. 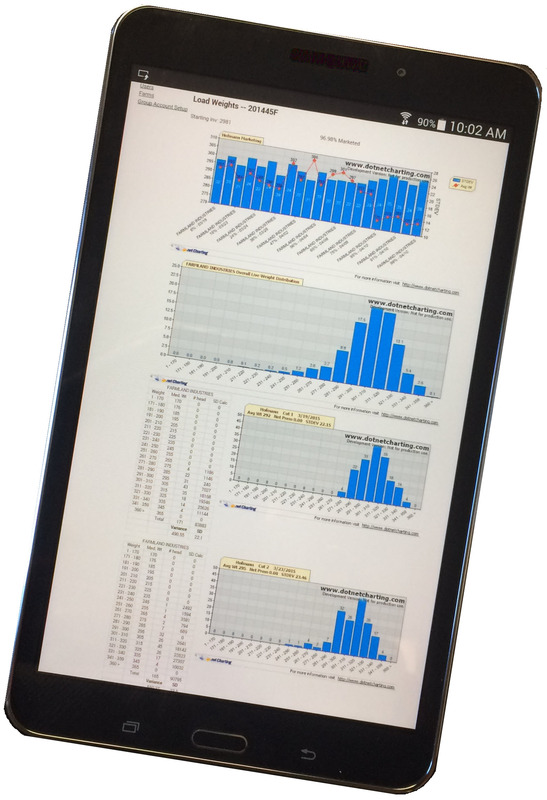 Accounting and production information is always in sync for complete accuracy and time-savings. Call 800.437.7638 /Extension 2 to schedule a demonstration. This year we launched a new series entitled “Opportunity Accounting” to help you better understand, evaluate and control what’s happening within your business. High commodity prices are a mixed blessing. Certainly they provide prosperity that “lifts all boats” for the producers growing those crops. On the other hand, good markets mask inefficiencies that come back to haunt farmers when times get tough. When the only game in town is cost control, your options are rarely quick, simple and not potentially-counter-productive. First it’s important to recognize there are four ways of categorizing costs. Direct costs can be traced to a cost object in an economically feasible way while indirect costs cannot. A cost object is anything for which as measurement of cost is desired. 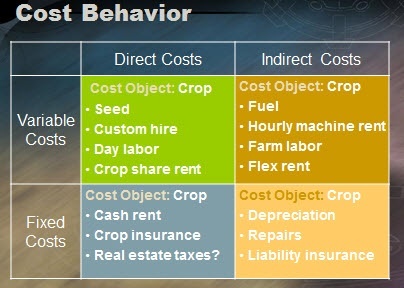 For example, if your cost object is a corn crop then your seed, chemicals and fertilizer would be included in direct costs while your equipment would be considered as an indirect cost. Note that “economically feasible (tracing)” is the determining factor between direct and indirect costs. For instance, an off season tractor repair bill is hard to trace (and frustrating to allocate) to the crops the tractor will be used on during the farming season. On the other hand, specifically-identified seed inventories can be feasibly traced to the farms and crops where they are planted. Variable costs change in total in proportion to changes in the related level of activity or volume, but fixed costs remain unchanged in total for a given time period despite wide changes in the related level of total activity or volume. Feed and per-acre custom farming charges are instances of variable costs in production agriculture. Depreciation and cash rent are examples of fixed costs. So are all direct costs, variable and all indirect costs, fixed? The exceptions make farm opportunity accounting interesting. Day labor hired specifically to harvest a vegetable crop is variable and direct, but full-time farm employees informally allocated to various jobs are often treated as indirect costs. Annual cash rent is a fixed direct cost, crop share rents are direct variable costs and “flex” rents incorporate indirect costs behaviors from external costs and/or market adjustments. Farmers can either treat fuel as an indirect cost allocated "after the fact" or as a direct variable cost tied to field production activities. Real estate taxes can be either a direct fixed cost or an indirect fixed cost depending on how they flow through a land entity. “Arms-length” services like custom farming and contract livestock production transform indirect fixed costs into direct variable and fixed costs. This table illustrates the relationships and examples among these cost categories. Next month we’ll examine some proven strategies for driving down costs and reducing risks. Nebraska growers Angela and Kerry Knuth are refocusing on labor and logistics in the March 2016 Corn and Soybean Digest. According to the article, the Knuths have had a "take-charge attitude when it comes to handling their data to drive management decisions." 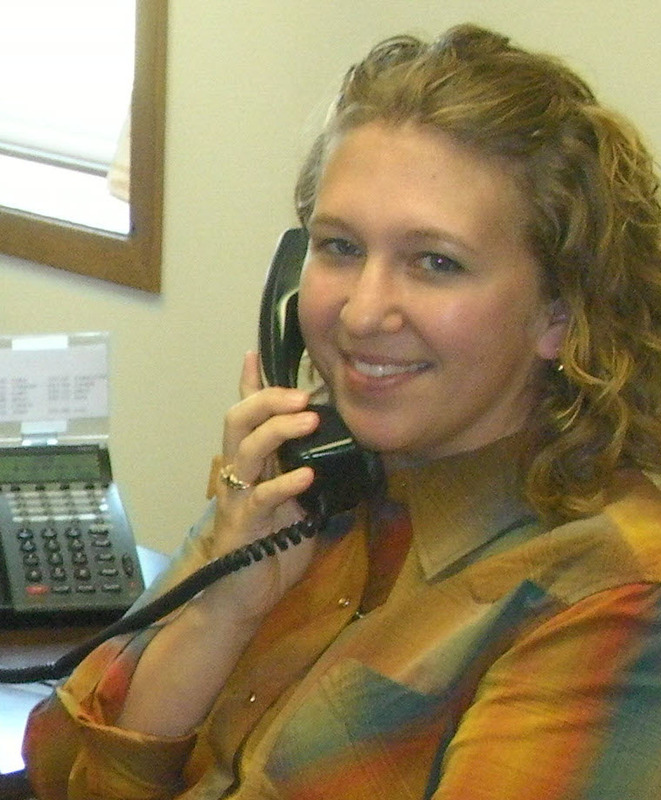 Angela explains, "We are looking for ways to get lean, making sure we find better and cheaper ways to operate." Arkansas grower Davis Bell and his sons Ryan and Greg were covered in the February 2016 issue of Farm Journal in the story, "Road to Success Paved by Marketing." The article states that "success and failure in today's farming are on the business side." Davis says, "Marketing in my operation is as important as raising a crop." Cost control is also an important objective, with the goal of cutting $125 per acre for corn inputs and $75 per acre for soybean inputs. They've crossed out $75 from corn and $45 from soybeans relatively fast. "The rest? 'I don't know where it'll come from but I'm working on it,' Davis notes"
April 11: Credit card entry and reports. April 18: Reconciling bank accounts. 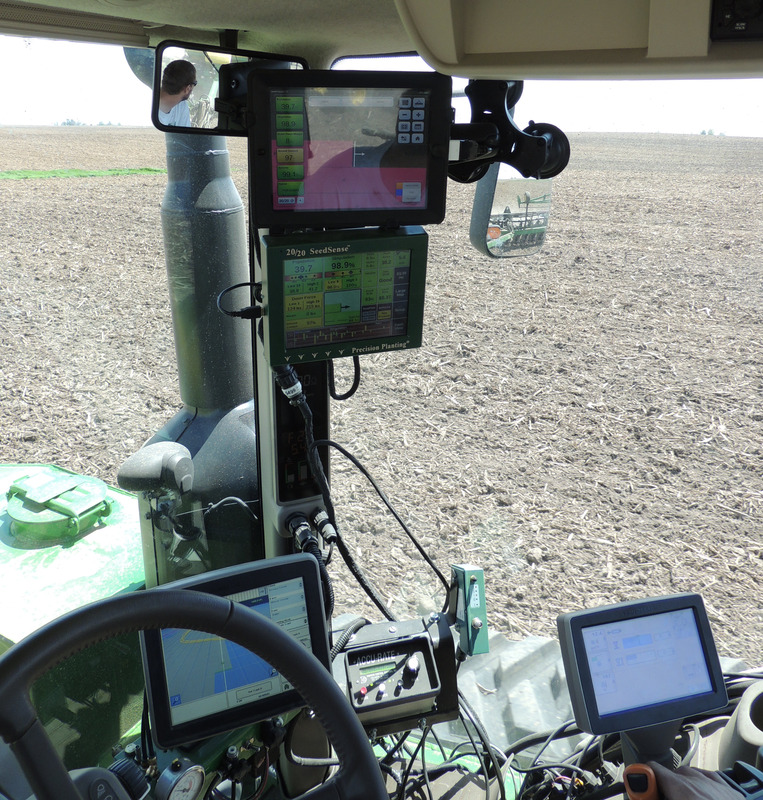 Q. What’s the best way to get crop data from my tractor, sprayer or combine into FBS? A. We actually offer three options to communicate with your field technology. The MACH 2.0 Interface imports and converts field application and harvest data from APEX, SMS, DigiStar,Trimble, Land.db or similar crop production software into FBS Crop Audit data. The most flexible option is the TransAction Plus Import module which can create both crop and accounting entries from CSV or Excel files. Give us a call before you get in the field so we can help you completely automate your record keeping chores this season. My direct line is 800.437.7683/Extension 100.